The life outside of beautiful facades is charming and can be enviable. But as soon as you get a closer look into that enviable life, you will find yourself running from it as if it was a deadly storm that wants to absorb you. If you got a chance to read Liane Moriarty’s novel Big Little Lies then you will certainly agree with me, as the life revolving around Monterey is more like a cancer that could have been cured at a certain stage with one right chemotherapy, but in this case, happens with a murder. 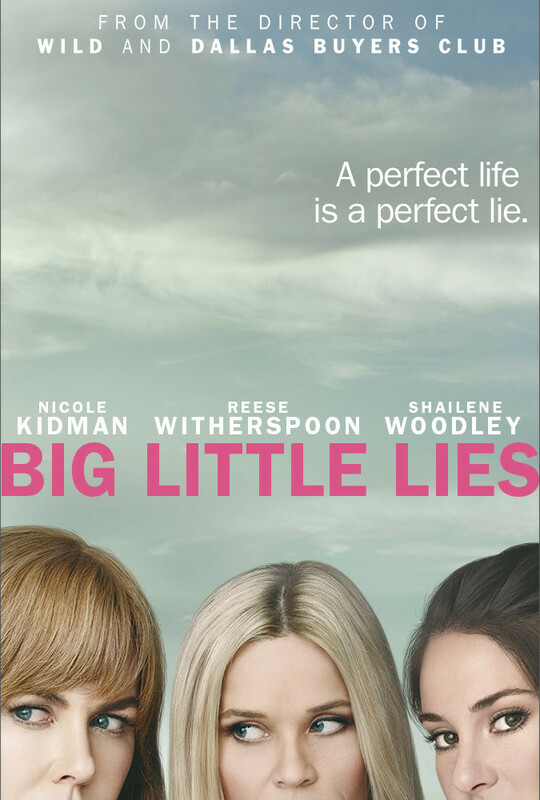 Big Little Lies follows three mothers, Madeline (Reese Whiterspoon), Celeste Wright (Nicole Kidman) and a much younger from them, Jane Chapman (Shailene Woodley). Each of these women had their own path in the life. Madeline, despite loving her current husband Ed (Adam Scott) still cares about her ex-husband Nathan (James Tupper) and his young wife Bonnie (Zoë Kravitz). Jane is a single mother with little son ZIggy, whose dark past we are yet to find out. And Celeste, the most mysterious of them all, described in the book as one of the most beautiful, has a handsome and much younger husband, Perry Wright (Alexander Skarsgård). Everything begins with the police investigation of a murder that occurs at orientation night. A person who has died or has been murdered is something you won’t find out until you reach to the end of the series, however, if you pay very careful attention to the pilot episode, you should be able to figure that out. It is also being revealed that Renata Klein’s (Laura Dern) daughter Amabella was bullied in the school, and apparently, that boy was Jane’s son, Ziggy. Obviously, for ones who have read the novel the flashback scene will make sense, when Jane herself can imagine her son doing such an outrageous thing… then again, a twisted storyline, and rich storytelling won’t make you so sure until, again, you reach to the end of the series. As a person who read the novel I should say everything was put together cleverly. The Quebec director Jean-Marc Vallee brings the best cast possible, or should I say the perfect cast? Each woman described in the book finds a perfect body to fit in the series. While Reese Whiterspoon’s Madeline is just a fuel that needed to be added to the fire, it’s Jane and Celeste who you MUST watch closely the entire series. Both women hold a key to answer the questions, however, it’s one night’s event that will bring everyone together to have that key held – as a beautiful lie to be spread. In conclusion, Big Little Lies is a series worth waiting for. HBO’s another ambitious project paid off. The incredible performance, excellent novel, and a huge cast contributes to the success of this mini-series. It is wickedly written, smart storyline, biting lines will help you to connect to it right from the beginning. Having said that, Big Little Lies is a must see not because of its stellar cast, but rather a stellar novel, that was deserved to be adapted.